I'm working on my photography and working on capturing the little things. 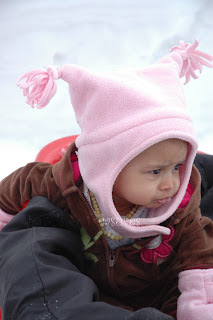 Things like Xiomara's little pout as she played outside in the snow for the very first time. 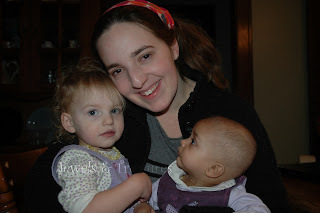 Or how Meridian has a bit of mad scientist hair in this picture, while Xiomara refuses to look anywhere else but at mama. 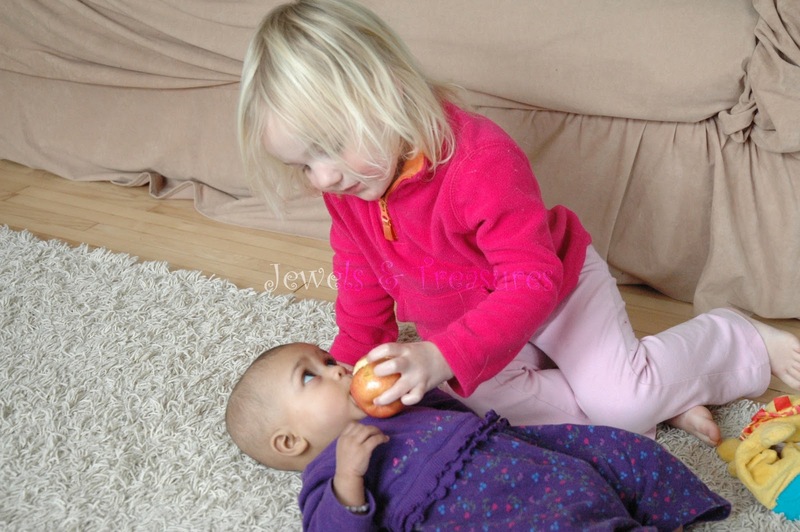 Lastly, how Zoelle is trying to feed Xiomara an apple here and how I have a picture stored somwhere of my sister trying to do the exact same thing to me. It's the little things that matter the most in life and I'm working on capturing them.